Do you need free seamless cotton weave fabric textures packs? Here are 5 free to download cotton weave fabrics with normal maps. 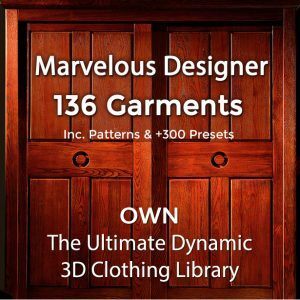 You can use our seamless cotton textured fabric textures for 3D Marvelous Designer clothing, DAZ / Poser clothing, ZBrush clothes or any other 3D cloth projects. The seamless cotton weave fabrics are 1024 px x 1024 px. You can apply the tileable cotton texture normal maps over any other color texture or pattern you already have on your clothes. These cotton textures can also be used for sheets, blankets, shawls, bags, blankets, curtains and any other upholstery. If you need help using seamless fabric textures in render engines such as Octane or Keyshot, check out our free texturing tutorials. 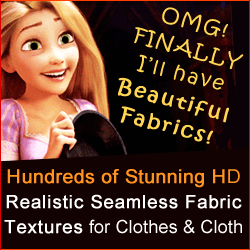 Check out our HUGE bundle of 300+ beautiful seamless fabric textures for texturing your 3D clothes. We hope these free seamless cotton weave fabric textures help you!